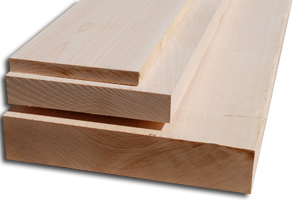 Unlike most other hardwoods, the sapwood of Hard Maple lumber is most commonly used rather than its heartwood. Sapwood color ranges from nearly white, to an off-white cream color, sometimes with a reddish or golden hue. 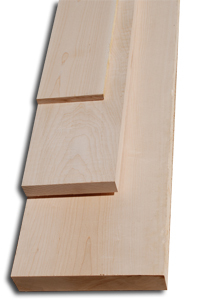 Hard Maple is also available in figured cuts like curly maple or birdseye maple. ​You can use Maple for all sorts of things like, basketball courts / gym floors / bowling alleys, of course residential flooring. Cutting boards, workbenches, baseball bats, furniture and cabinetry. Birdseye Maple - Figured maple with little round circles randomly spread out through the grain.